Today is someone’s lucky day if you’ve been wanting to update your master bedroom on a budget because all you will need is this post on the Wayfair Closeout Sale Affordable Upholstered Beds. I got an email this morning that Wayfair was having a huge blowout sale – 80 percent off — so I started going through all the sale items. Wayfair is one of my favorite home decor websites to find lighting, decor, rugs, and much more, and this sale did not disappoint. One of the items I was blown away by was all the affordable upholstered beds that were on sale for under $500. Some were even under $300! One of the beds looks exactly like upholstered bed we have in our guest room and I love the style of it with the gray linen upholstery and nailhead trim on the wingback edges. 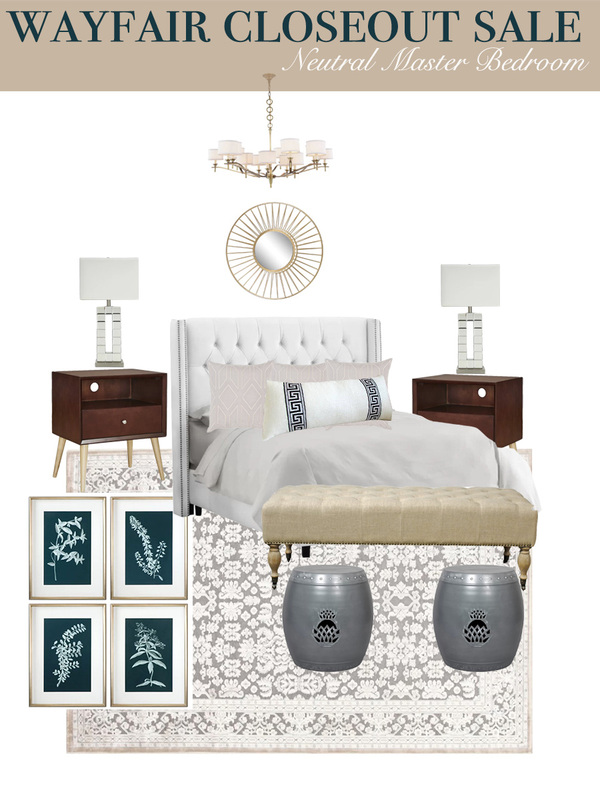 As I was going through the sale items I quickly realized that there were enough sale items —rugs, lighting, mirrors, night stands, prints, etc — to create two different designs to help you visualize how you could use all these closeout sale items to create a gorgeous master bedroom. 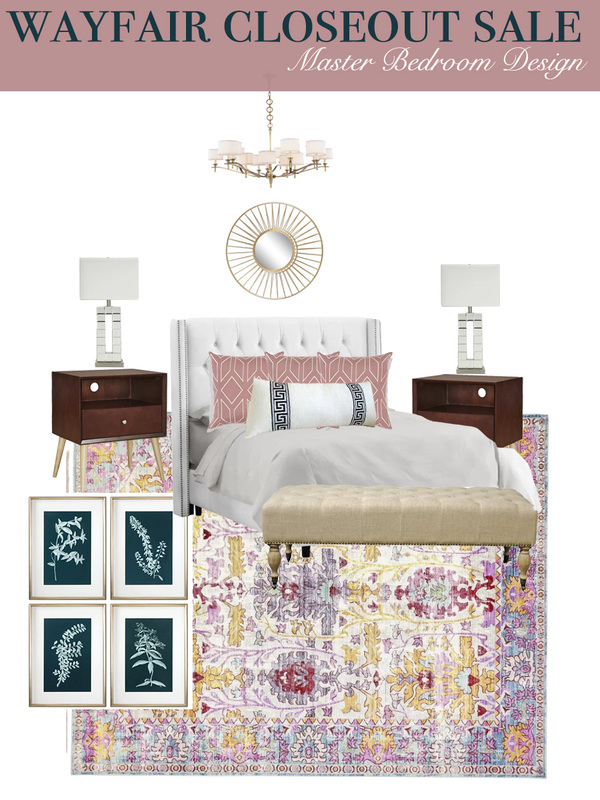 The first design that you see (above) uses gorgeous blush tones and a colorful rug. You can shop that look here. I’ve sourced all my favorites from the sale so I hope you find something you like and I hope you find this post on the Wayfair Closeout Sale Affordable Upholstered Beds is helpful! If you are looking for more master bedroom inspiration be sure to check out our post on Master Bedroom Canopy Designs, Custom Pillow Selections for Master Bedrooms, and 5 Tips for Creating a Master Bedroom He Will Love Too.